19 200 professionals from 71 different countries visited the combined fair of Ferroforma, Subcontratación, Addit3D, Fitmaq, Pumps&Valves and Maintenance in Bilbao in northern Spain from 6 to 8 June. 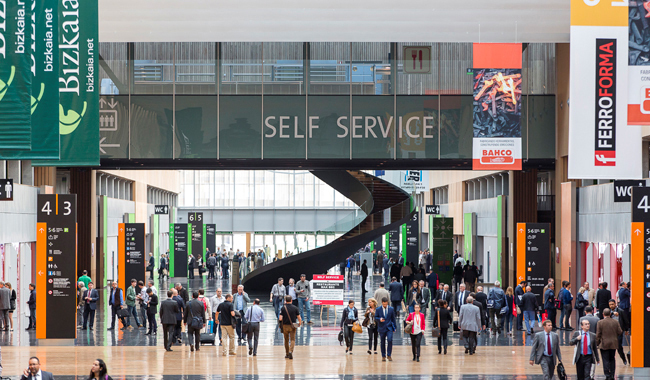 The organiser, the Bilbao Exhibition Centre, classes the show as the main meeting point for smart manufacturing in southern Europe. The number of professionals who visited the show is especially relevant, since this edition was shortened by one day. However, despite this fact, it welcomed a higher number of visitors, according to the closing report of the show organiser. The main countries of origin of visitors from outside Spain were Portugal, France, the United States, Italy and Germany. More than 1 200 exhibitors presented their products and services at the show. At Ferroforma, the hosted buyers programme attracted guest purchaser delegations from 32 countries. In regard to the activities and conferences, in which a total of 121 speakers participated, there were experts in Industry 4.0, automotive, electronic commerce, additive manufacturing, industrial coatings, casting, pumps and valves, and industrial maintenance.